It seems hard to believe that 2011 is almost done and we are almost off and running in to 2012. Needless to say, I have been super busy the last few weeks, with working all those crazy retail hours and still trying to have a little fun during the holidays. So here I am finally posting my last Stash Report for 2011. I just realized that I have not posted a stash report since November!! 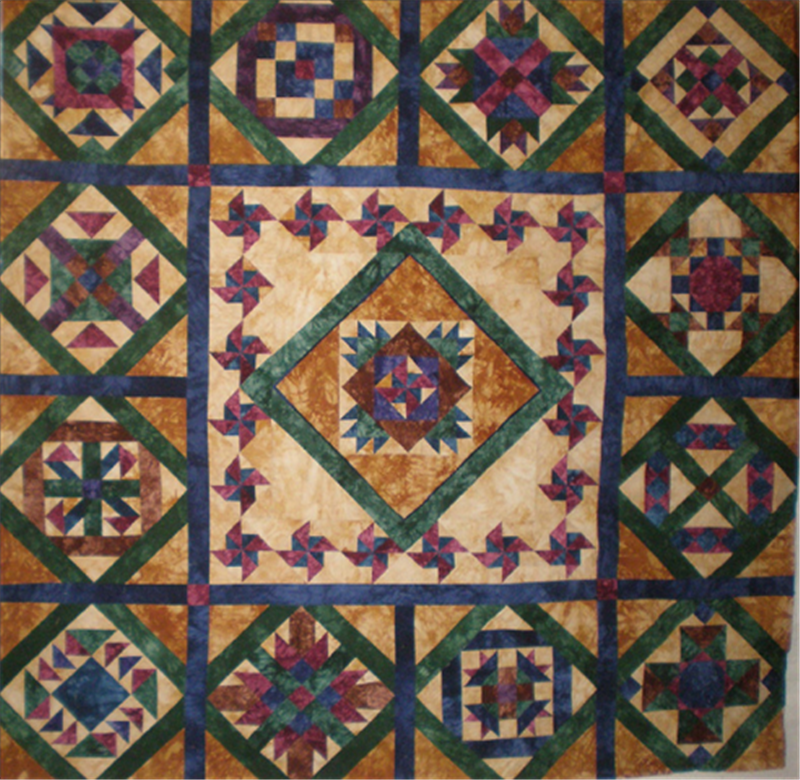 This month, I did use up some fat quarters that were donated to Sunshine Quilt Guild for a fund raiser. Will not be able to claim any usage, as I still have unfinished projects waiting for me in the sewing room. Being super busy at work does have it's advantages, as it has kept me out of the Quilt Shops. The only purchase I have to claim are the last two blocks for the Medallion Quilt. See photo below. This one will be on my UFO list for 2012. So here are the final numbers for 2011. Not to bad, but would like to shoot for 200 yards for 2012. Looking forward to continuing Stash Report for 2012. 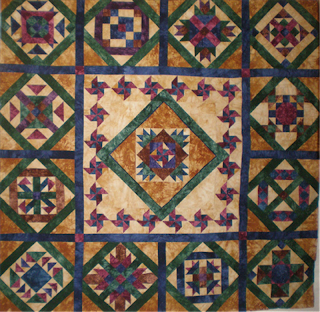 Check our Judy's blog at Patchwork Times if you want to join along.